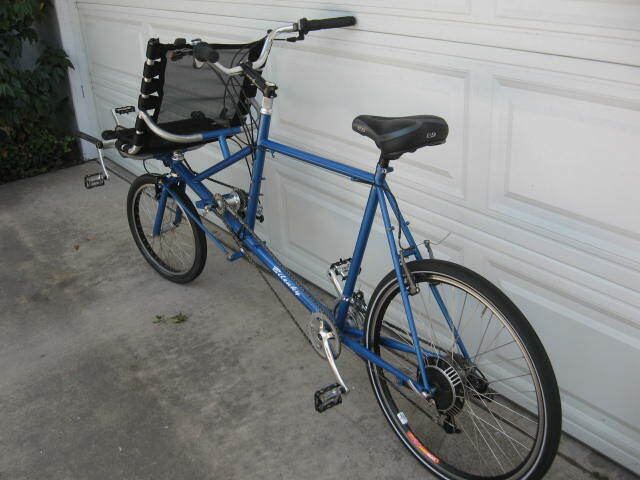 I just bought this Bilenky Viewpoint tandem from a seller on ebay. I saw a Viewpoint at a bike show many years ago and thought it was a cool idea. It allows riders with different capabilities to ride together. The other nice thing is since the stoker is recumbent, and the captain rides upright, their heads are very close, so carrying on a conversation isn’t as difficult as with a standard upright or even a full recumbent tandem. Many tandem riders have wireless intercoms just so the captain can talk to the stoker. 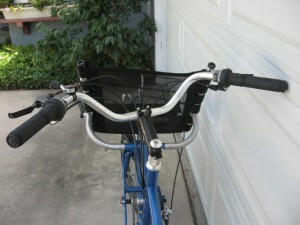 The viewpoint is adjustable for different riders. So, for example, the stoker could be a young child and the bike will adjust to their shorter legs. In fact, when I received it, it was configured for a child stoker. 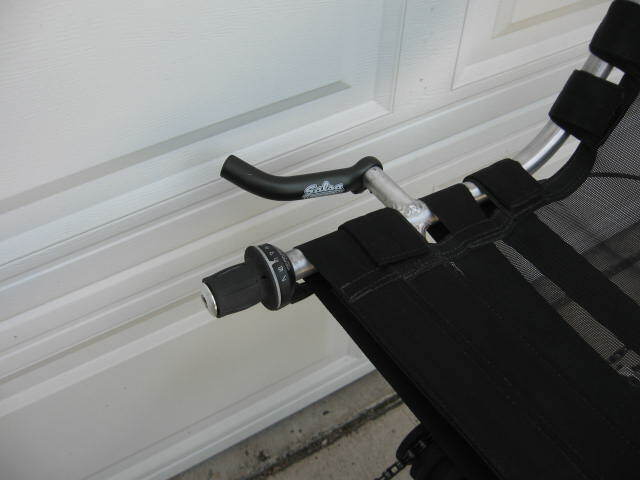 I’ve read that Bilenky even made modifications for a hand-cycle stoker. 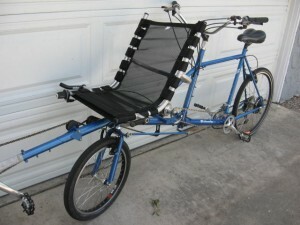 Our neighbor saw my wife and I riding and commented that it was a “cool contraption”. I don’t think of bicycles as a gadget but I guess if you’re not a bicyclist, that’s about as good a compliment as you can give. You can see from this picture that the captain has a good view, but also can carry on a conversation with the stoker, while riding. Here you can see the twist shifter that operates the deraileur that shifts the ratio between the stoker and captain. I’ve met Stephen Bilenky at the San Diego Custom Bicycle show. He builds a lot of different bikes. The Viewpoint is a modification of a cargo bike the Stephen has built for years. 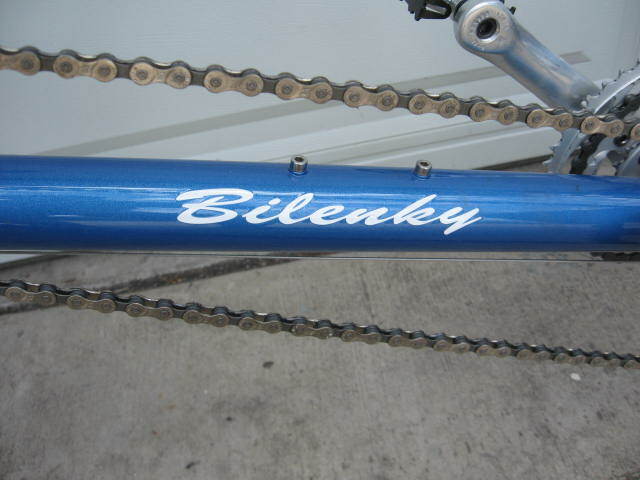 He also builds some very nice upright single rider bikes. In these two pictures you can make out the deraileur and gears that allow the shift of ratios between the stoker and captain. 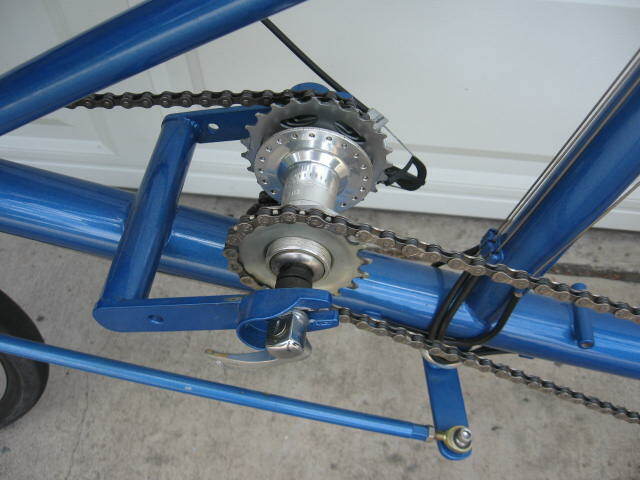 It’s a modified rear hub, that acts as an intermediate jack shaft between the stoker and the captain. I think this view gives you a good idea of how it work. So far the only things I want to change are the seat and add a kickstand. 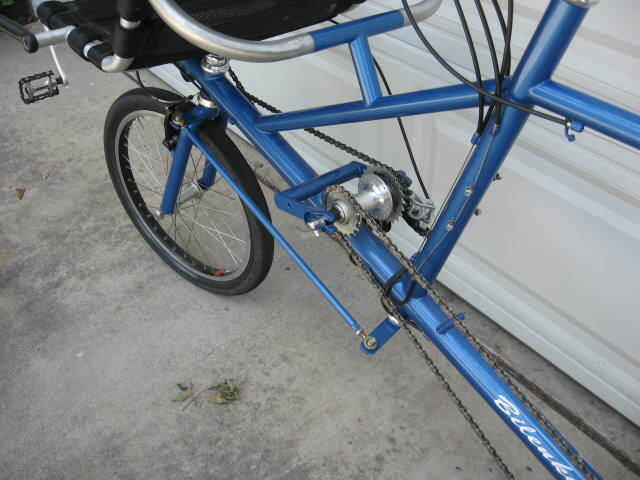 I want to look for a kickstand that will hold the bike up, while I adjust the mast that holds the stokers crankset. I’m very happy I bought it and hope my wife can continue to ride with me. Maybe some day we can do some longer rides together. Right now, we’re just getting used to the handling, communication and other skills required to ride a tandem.